Often instructors/therapists struggle with their ability to assess a clients limitations, specifically the core. 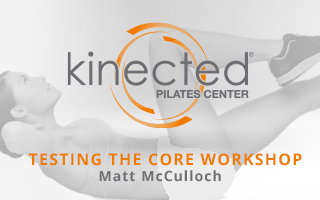 The core is the center of Pilates, but how do you quantify your clients stamina and overall activation of their core strength? It is the key to movement and a weak core can create an undeniable ripple effect in movement patterns.